StrachanStylish LivingAdviceWalk in Wardrobes and Dressing Rooms: What’s the Difference? There’s nothing that gets the hearts of homeowners fluttering more than having their own elegant dressing room or walk-in wardrobe design. A dedicated space for all your outfits and accessories is definitely tempting, but what is the difference between the two? 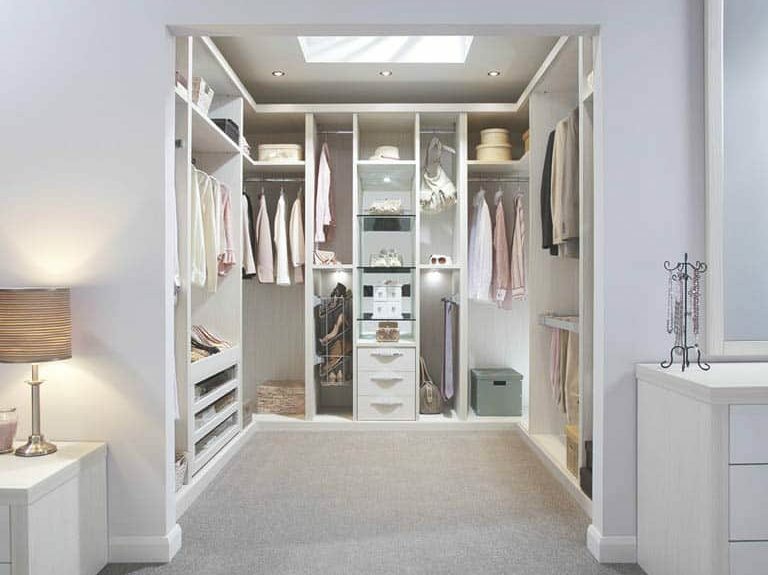 It can sometimes be confusing to identify the differences between walk in wardrobes and dressing rooms but when you start to look at what is available, you’ll notice there is a clear distinction. 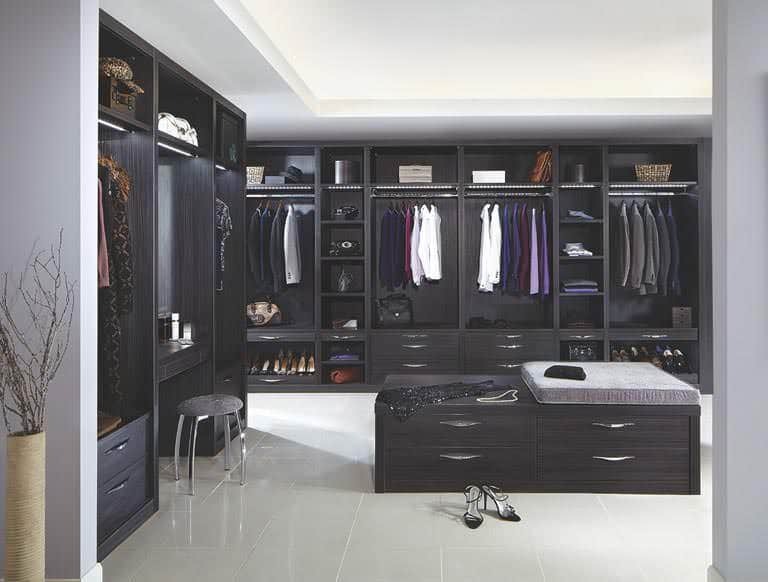 A walk in wardrobe is as much a dressing room as an en-suite is a bathroom. 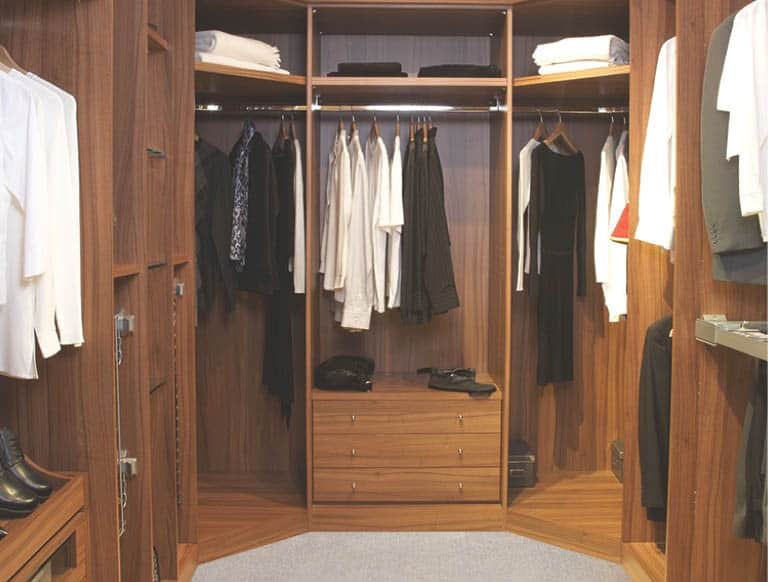 Unlike a dedicated dressing room, a walk in wardrobe is often a smaller or box room adjoining the bedroom or an area of the bedroom that may be partitioned off specifically with fitted open wardrobes in mind. Walk in wardrobes, like fitted wardrobes, can be installed from floor to ceiling to maximise every inch of space. Clever storage solutions for clothes can also be configured to suit your needs, including pull out, full-length mirrors and overhead storage for out of season outfits. If you have more space available, you may want to indulge yourself with a fully fitted changing room complete with stylish and functional furniture to enhance your dressing room experience. 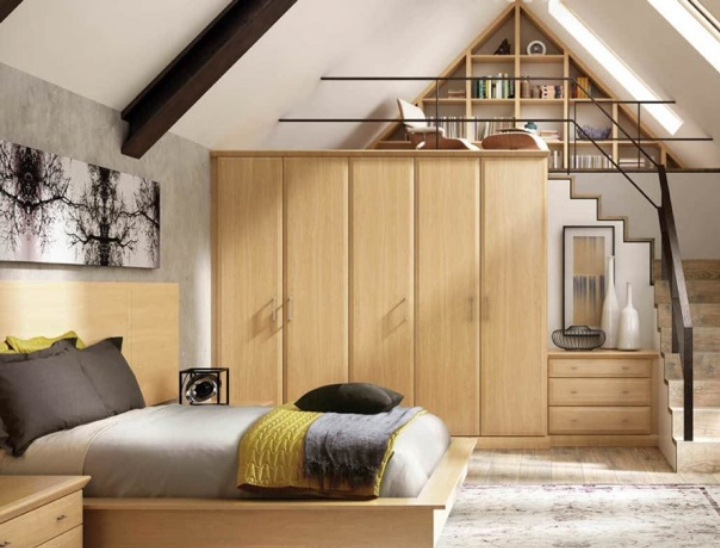 Imagine floor to ceiling wardrobes with full length and double hanging rails, as well as a whole host of storage options designed to match your lifestyle. Dressing rooms can be as opulent and as practical as you want and can be designed to include storage islands with co-ordinated seating and built-in dressing tables with mirrors. Professionally fitted, your dressing room design should provide everything you desire to get dressed and groomed for the day ahead. You can even include built in storage for an ironing board, allowing you to store and take care of your clothes in one space. Do you have space to include seating or a bespoke fitted storage island in a dressing room? If not, walk-in wardrobes may suit you better. If you haven’t worn an outfit for several years, consider giving it away to charity. 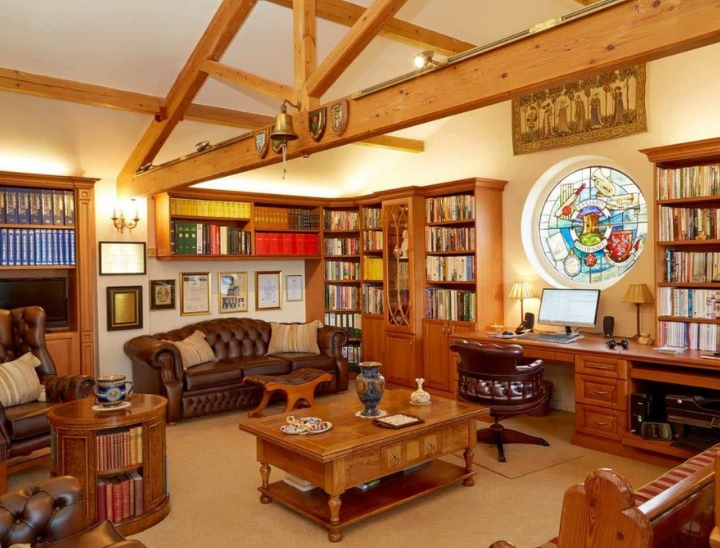 There’s no point paying for bespoke storage for items you don’t even use. Separate your clothes into different areas of your life, as this can help you think about the number of compartments you may need in your fitted wardrobes. Look at how much of your clothing needs to be hung full length, which items can be hung folded and how much of your clothing can be stored in drawers. Don’t forget to consider you jewellery, belts, ties, accessories and footwear. These will need to be accommodated too. More and more people are making big changes to their homes to improve their lifestyles. 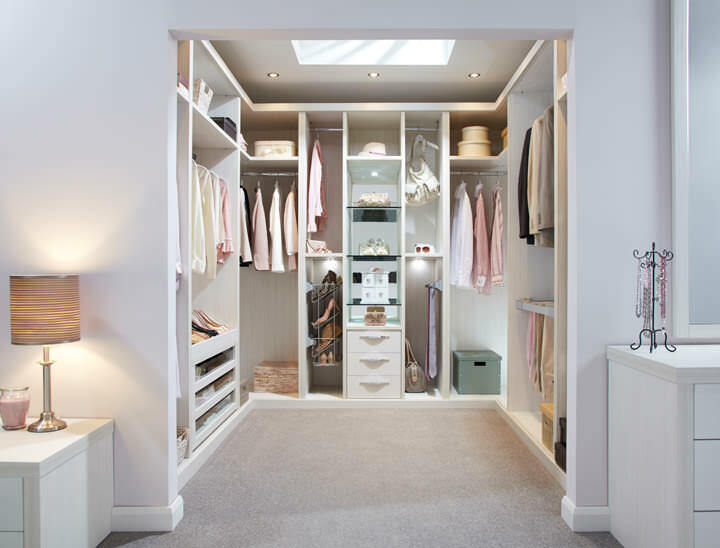 With so many exciting options available, you’ll be surprised to discover the difference a fitted walk-in wardrobe or dressing room will make to you and your daily home routine.